I've wanted to taste Jean-Georges Vongerichten's flagship restaurant for years, funny how I finally get to try it half-way across the world in Shanghai. The menus are identical as far as I can tell. The tasting menu we ordered definitely is identical in content to what is served at the corner of Central Park West. (I may not have eaten at Jean Georges, but I have certainly read enough reviews of it to know what is on their tasting menu.) The only difference is the price. Here the tasting menu is 748RMB/US$92.35 per person whereas in New York it is US$125, about 25% cheaper. Years of anticipation sharpened by counts of absolutely glorious reviews had us all primed for an unforgettable dinner. Yes, yes, we were in "Dalu", not exactly a place where I have ever encountered good Western cuisine (or even many Chinese ones, for that matter, but that's a rant for another day), but I thought: How bad could it be? From the way everyone practically foams in the mouth in awe for the food at Jean Georges (The Original), even if this can approximate that, it should be more than exceptional. The executive chef Eric Johnson worked under Vongerichten for many years and I'm assuming he knows what he is doing. Same menu, same chef, same techniques, best available ingredients: let's go! 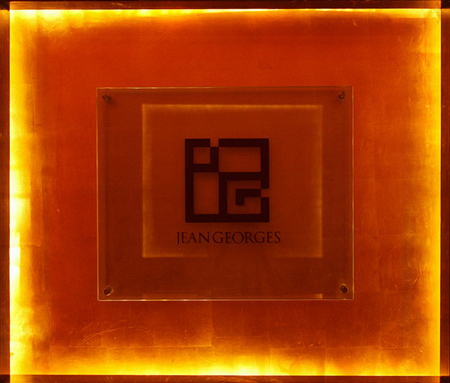 Continue reading "Jean Georges Shanghai"